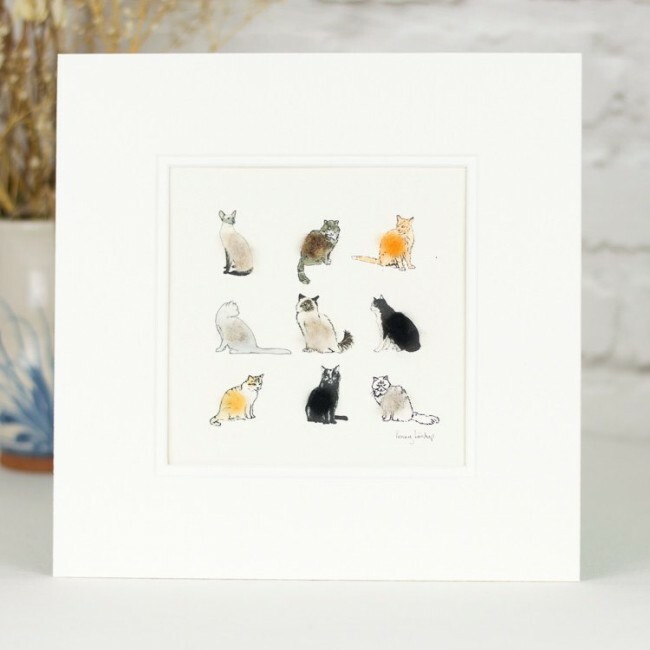 Our fluffy cats print is always a popular choice of gift for cat lovers. 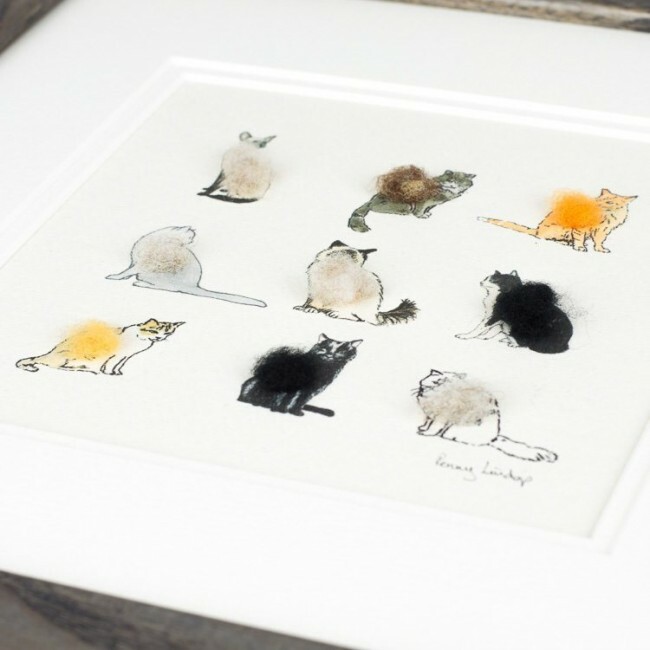 It features a collection of 9 fluffy cats, all hand finished with a woolly 3D body. What's not to love when it comes to cats! If you are looking for a quirky design of cats, something that will bring smile upon smile, then this may be the perfect artwork choice. A perfect gift for any cat lover. We print on a lovely acid free archival quality paper made in the UK. The print is mounted in a conservation quality double mount which reall adds an extra touch of quality to the finished print. Mounted picture size is 255 x 255mm (10 x 10 inches). This is the inside frame measurement. It is a standard size fairly readily available. However, we are very happy to frame the print for you if you would like a complete gift. We offer a natural oak frame or a charcoal grey stained ash. Both these mouldings have a simple plain profile and will enhance the artwork. We are happy to add a personalistion to this print, which will be hand written in pencil beneath the image.